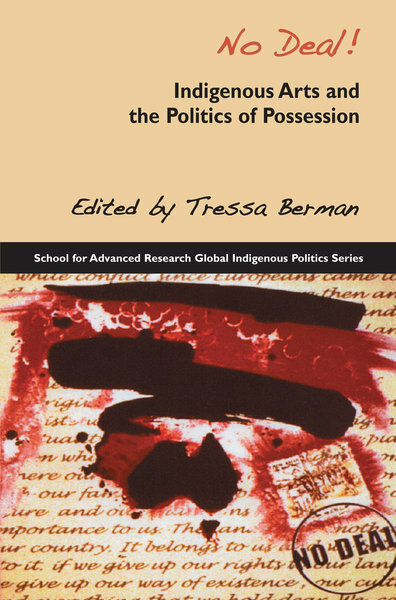 Author, Tressa Berman: "Let's talk about Indigenous art! “artwriting,” “curation” “visual representation,” “hybridity” – all ways of talking about art. I want to decode the language of art to get inside of the artists' intentions, and to understand the ways that Indigenous arts push back against the weight of the art world while also being a part of it. The issues are complicated and worth looking at to realize that creativity is also a mark of social justice expressed through the lens of artists and their works. Please join me and Gathering Tribes in this informal book discussion. This book is the culmination of my own 30 year journey through the art worlds of Native North America and Indigenous Australia, and my lifelong relationships that set the journey in motion. For more than three decades, I have had the privilege to work and live in Indigenous communities as a guest, as a family member, as an organizer, and most of all, as a student of the teachings that bring together – without separation – contemporary art-making, caring for the land, and preparing the way for future generations." About the Author: Tressa Berman, Ph.D., is an anthropologist and curator who has worked in a range of institutions and communities – from tribal museums to the Smithsonian, where she helped to implement the first repatriation policies of NAGPRA in the 1990s. In Australia, she is currently involved with a national project called The Keeping Place, which brings together the first Indigenous-owned contemporary art collection as a community arts initiative. She continues her work as a teacher, writer, and cultural worker.